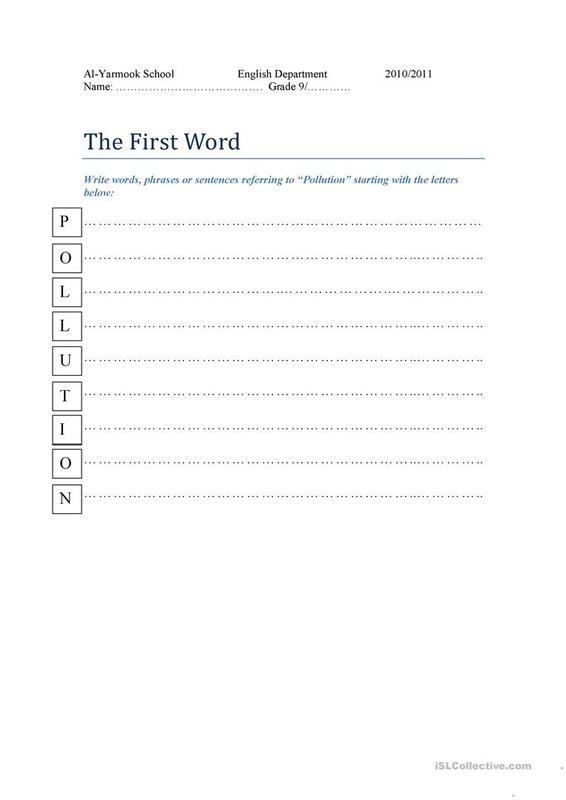 This worksheet can be used as a Warm or Lead-in stage for the lesson about "Pollution". The above printable, downloadable handout was created for high school students at Upper-intermediate (B2) level. It is useful for strengthening your students' Writing skills. It is about the topic and words of Ability. Yusuf is from/lives in Jordan and has been a member of iSLCollective since 2010-11-28 20:24:10. Yusuf last logged in on 2011-03-11 21:22:00, and has shared 7 resources on iSLCollective so far.